Employee evaluation is one of the most crucial periods in an organization. Quite possibly, as a supervisor, you may have noticed that most employees are not too excited about reviews. This is mostly because of evaluations usually connote a conflict of perception of results and/or negative criticism. For this reason, when performing evaluations, it is important to communicate the reason(s) for the evaluation to your subordinates. Some basic reasons are development/training, feedback, motivation, and recognition. 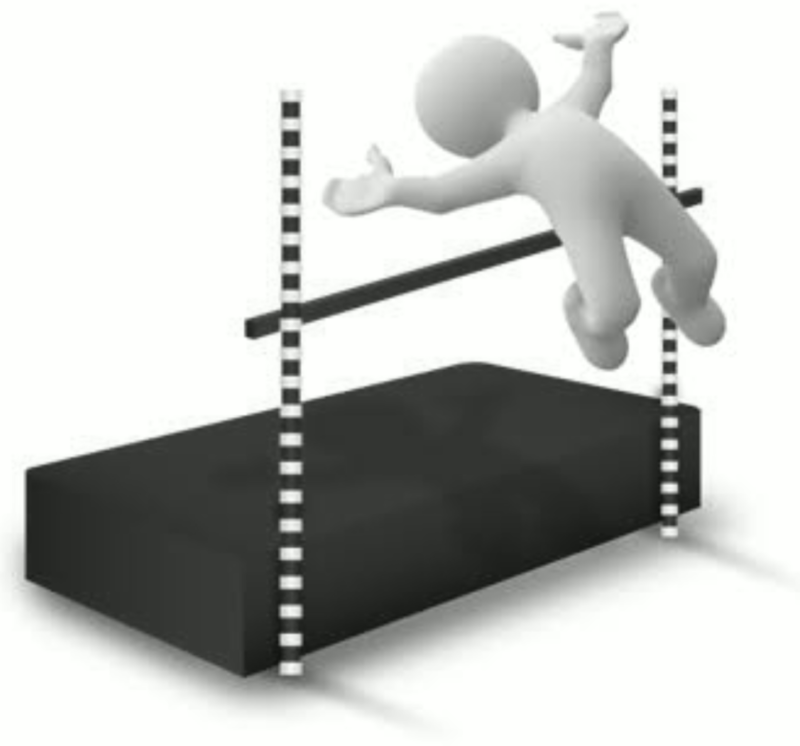 Ideally, evaluations is one of those situations where supervisors should be a coach and judge simultaneously – a coach in the sense of being firm and looking forward to an improvement in the performance of the employees, and a judge by being fair, considering even performance in past sessions. Sadly, it is not the case in a lot of organizations, and that’s unfortunate. An evaluation is not an excuse to berate or embarrass an employee. It is to help employees improve their performance and enhance the overall productivity of the organization. To this end, there are three (3) widely recognized performance standards of evaluation – Absolute, Relative and 360◦. The absolute standard involves evaluation based on the periodic (monthly, quarterly, annually) review of an employee’s performance. The relative standard involves evaluation each time an employee has faulted or is commended. 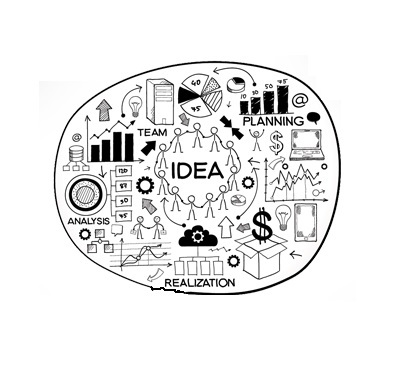 The 360◦ evaluation involves evaluation based on reviews from an employee’s clients/customers, peers and supervisors. In my opinion, the 360◦ evolution is the most effective, but also the most tasking to coordinate. The evaluation is a legal document and hence be conducted in a private formal or semi-formal setting between only the supervisors and the employee being reviewed. The information in the evaluation should not surprise the employee. This is why prompt feedback is essential. A wrong doing must be addressed within a reasonable time-frame after committed not saved until performance reviews. 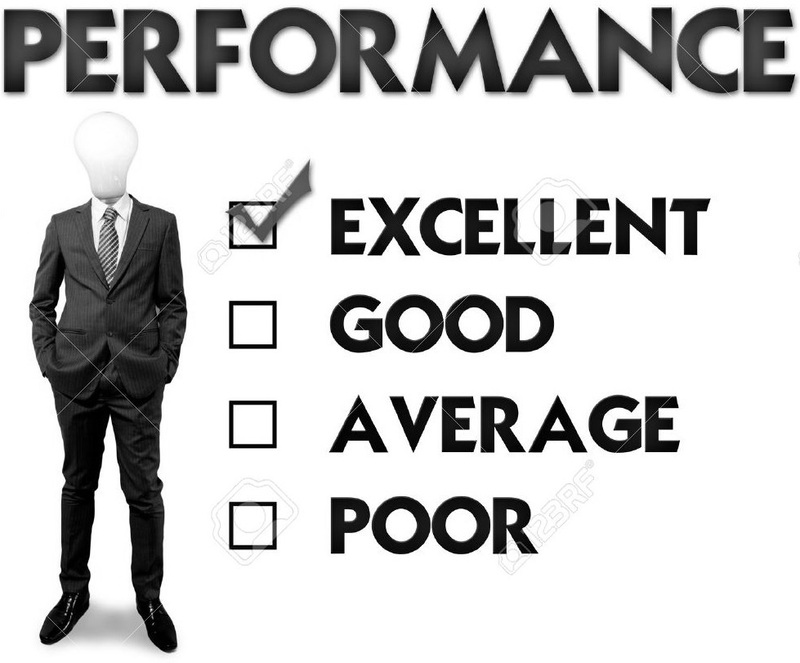 The performance should be held periodically – monthly, quarterly or annually. An effective way is to hold it on the eve/day of the anniversary of employment. This way, it is more of a process than an event, and an employee’s growth or lack thereof can be easily noted. The halo error: This is overvaluing and/or undervaluing subordinates’ performances based on their personality. Every personality has its strengths and weaknesses. Assertive people aren’t necessarily more productive than quiet people. The recency error: This is overvaluing and/or undervaluing subordinates’ performances based on their recent activities. This is why it is important to file every commendation/warning involving the employee. The similarity error: This is overvaluing and/or undervaluing subordinates’ performances based on familiarity/state of the relationship with the supervisor. A review is to objective – a tool to build, not a weapon to destroy. There should be not favoritism in the workplace either, well, at least not when objectivity is required. Finally, this goes without saying, but employees are individuals and should be reviewed based on their merits or lack thereof, not who/what they are. Please do not ever make concessions or deductions on the basis of age, color, disability, gender or tribe of an employee. 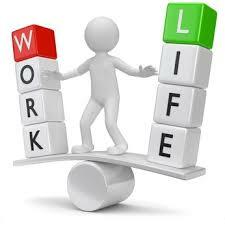 These days, with the help of technology, it’s gotten difficult to separate personal life from work life. What you could only get done at work, can now get done on the go – receive and send emails, create presentations, edit and view documents, with apps like Gmail, PowerPoint, Word, and Acrobat, all your smartphone. Technology has its perks, obviously, but for the most part, a lot people no longer have a private life, and that makes them ticking time-bombs. Even trying to find a balance between work expectations and life expectations has become a chore; a chore that stresses a lot of people out. Stress can be tough to get a handle on, especially when it’s being faced on both personal and work fronts. Common stressors, irrespective of age, career, gender, and status, include ailments, bad bosses/supervisors, family issues, financial challenges, personal distress, personal injuries, task deadlines, and technological malfunctions. If these go unchecked, the long-term effects of stress can either be physiological or psychological. Both may have adverse effects on the quality of life of an individual. The physiological consequences of stress include burnouts, heart complications, high blood pressure, and ulcers. The psychological consequences include anger, depression, irritability, psychotic breaks, and resentment. Stress, however isn’t always a bad thing. For example, optimal stress, unlike high stress and low stress (which are bad for the health and overall well-being of an individual), brings out the best performance on the job and in private life as well. As an individual, the key to a balanced life is quantity at work, quality at home. That simply means putting in a considerable amount of time being productive when you’re on the job/at work – attending meetings, completing projects, meeting up with appointments, responding to emails, and so on; giving your family, loved ones, and yourself your undivided attention when you’re off the clock/at home – laptop and phones off when you’re with them, playtime with young children, bonding activities with teenage children, date/movie night with your partner, weekend/summer getaways, and so on; and on your own, engage in your favorite pastime, take up a new hobby, try yoga, live a healthier lifestyle – more physical activity, less processed food, more water, less alcohol and fizzy drinks, get a full medical checkup (contrary to popular belief, what you don’t know will hurt you, bad) at least twice a year, and so on. As a business owner/manager, it is your responsibility to help your workers find a middle ground in which they can perform optimally. Some ways to help employees deal with long-term stress is through peer counseling or hiring psychologists (in addition to the on-site/close proximity medical facility), encouraging exercise and physical fitness through the mandatory use of available company facilities or provision of subsidized fitness programs, and the implementation of mandatory sick days or stress leaves (with or without pay) depending on the stressor. In situations where the supervisor is the stressor, frequent supervisory reviews should be done, where subordinates individually and anonymously rate the leadership style and performance of their supervisors. This could help the supervisors improve, and make the subordinates feel valued. When employees are content and happy, they are more engaged and productive. A balanced life is a happy life, and you owe it to yourself to be happy. Just as employees whom perform their duties appropriately should be encouraged by rewarding them with praise, employees whom perform negative actions should be discouraged by rewarding them with a penalty/punishment. It is however important to note that the purpose of discipline is for correction and learning. 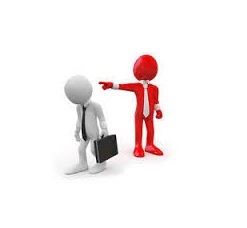 Being a supervisor, like a coordinator, manager, or team lead, is not a license to be a bully. Explaining faults in a respectful manner helps employees understand the problem and reduces the likelihood of a repeated offence. This is the reason why it is necessary to educate subordinates, especially new employees/members of your group/team, on all company policies inside and outside of the workplace; emphasis on the importance of total compliance and the consequences of noncompliance. For example, harassment is a major concern in companies with a diverse workforce. It ranges from bullying to sexual; sexual harassment being the most prevalent. Female subordinates are usually the victims of sexual harassment, not just from their peers, but from authority figures, and that’s unfortunate. Unreciprocated advances, bothersome behavior, and failed/forceful romance are the most common types of sexual harassment. In Nigeria, I’ve noticed that a lot of young women do not even realize that being hit on, “accidentally” fondled, or groped by a colleague at work is unacceptable, and what is even more alarming is that a lot of companies, via complacent supervisors, treat sexual harassment complaints as a nonissue. This is too bad, as I don’t know if this attitude stems from the archaic culture of treating women as second class citizens with no rights, or just plain insensitivity. I try to educate employers that this should be a huge concern. It is important for productivity that female workers feel safe. As a supervisor, it is your responsibility to be sensitive enough to handle such issues delicately, discretely, swiftly, and by the book. If male employees are not reprimanded for sexual harassment, this unprofessional behavior will continue, and possibly escalate into violent advances. 1) Progressive: This is the most widely used form of employee discipline. It is a gradual process of discipline that escalates as the faults increase or graduate. For minor offenses, it progresses from verbal warning – written warning – suspension (with/without pay) – termination. For more serious offenses, it may go from written warning – suspension (without pay) – termination. 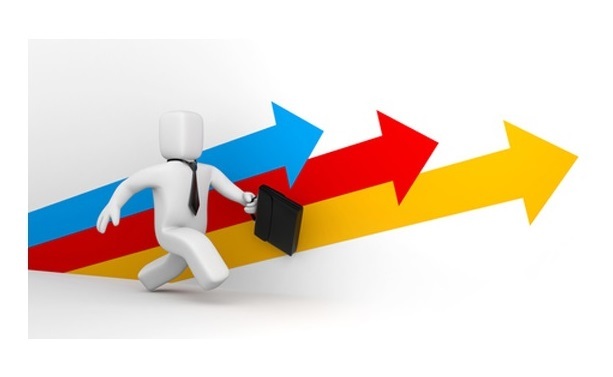 It is successful because it motivates subordinates to becoming effective employees of their organizations. The only problem with the progressive discipline model is that it may not actually correct the wrong. It works like negative reinforcement – the action is only discontinued in order to avoid punishment. 2) Positive: This is a new, lenient trend in organisations. It progresses from verbal warning – written warning – suspension (with pay). It aims to impact learning rather than to punish. It is successful because it assists employees in becoming more effective by discouraging bad behavior, as opposed to punishment. The only problem with the positive discipline model is its controversial nature – its leniency; the fact that penalized subordinates still get paid, even though they’re on suspension. Please note that every form of warning must be documented, and a copy put into the subordinates’ files; this is particularly useful during performance evaluations. Anyway, since prevention is better than cure, it is advisable to transfer dating/married/estranged couples to different departments to avoid conflict; provide support and time for improvement for under-performing employees; and organize mandatory seminars, departmental workshops, and leisure outings. This will help promote harmony and mutual respect. When all else fails, use discernment in applying warnings, suspensions and terminations (with built cause). Supervisors have to decide what will work best for the benefit of their teams/subordinates and company. Disengaged employees come to work, but are absent, inactive, and unproductive. They annoy customers, and provide inadequate service to clients. Whether you’re the Chief Executive of a multinational corporation, or small business owner, disengaged employees can be a nightmare. I learnt some time ago that a good leader is someone who can make people do things because they want to; in other words, good leaders keep their subordinates motivated. Motivation is the willingness to do something, and is conditioned by the ability to satisfy some need for the individual performing the action. This doesn’t sound complicated, right? But because need is a psychological or physiological deficiency that makes outcomes attractive, motivating employees to perform tasks can be challenging. If I had to pick, I would say, the prevalent cause of disengagement in present times is locus of control. It is the degree to which a person believes he/she controls his/her destiny. Some employees find it hard to be motivated if they feel they are being controlled. This kind of people require some degree of respect. For example, if such an employee could be included in some decision-making (especially in those that directly affect them), it would motivate him/her. When employees have the full context about a decision and the options considered, they are more likely to support it regardless of whether they agree with it or not. Since the objective of decision-making is to get the best possible result, or sometimes, the satisficing one, it may be a good idea to involve the people it will be affecting, in order to achieve maximum cooperation. One of the best ways to involve subordinates in decision-making is through forums or group decision-making. It provides more information and more alternatives/solutions. However, this may not work for all leaders, depending on personalities, time-constraints, and number of employees. Nevertheless, if you request input from your subordinates, be sure to consider their opinions in making a successful decision, so as not to lose credibility and respect. Other common factors that affect employee behavior and motivation are: Self-Esteem – degree to which a person likes or dislikes him/herself, and Risk Propensity – degree to which people are willing to take chances. Employees with low esteem need appreciation and encouragement in order to feel motivated, and those who habitually avoid risk, only require recognition in order to feel motivated. Apart from appreciation, encouragement, recognition, and respect, other ways to motivate disengaged employees is through rewards (in cash or kind), making debates transparent, and personal interviews – asking one-on-one what changes would improve their performance. Remember, there is no “one size fits all” approach in motivation. You have to know your employees and make improvements as you go on; better to be proactive than reactive. Motivating employees can be a daunting task, but being the boss isn’t an easy job.